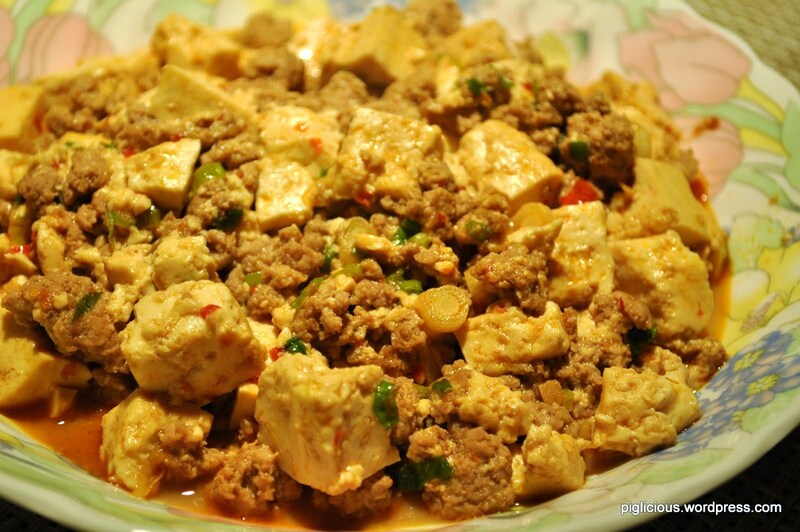 Mince the garlic, dice the tofu, and chop the green onion into thin slices. Set the temperature to high. When the pan is pretty warm, pour in about 1 tablespoon of oil. When the oil is hotter, place the garlic in. Let the garlic sizzle a little and put in the ground pork. Quickly divide and separate the pork into smaller pieces. 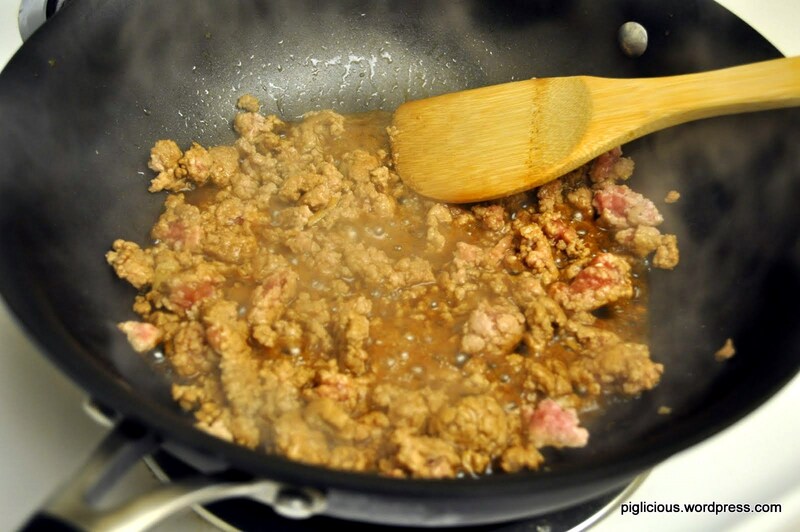 Do this until the pork is partially cooked (half cooked, half raw). Pour in the soy sauce, stir, and continue separating the pork. 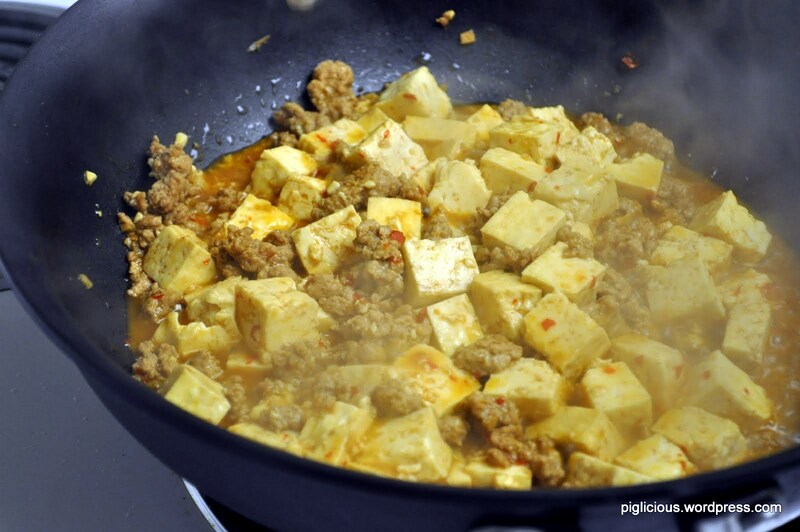 When the pork is almost fully cooked (you should still be able to see a few raw areas), place the tofu in the pan. Mix it around a couple times and add the chili garlic sauce. Continue mixing to evenly distribute the sauce. Cover the pan with the lid and let it cook for 1-2 minutes. 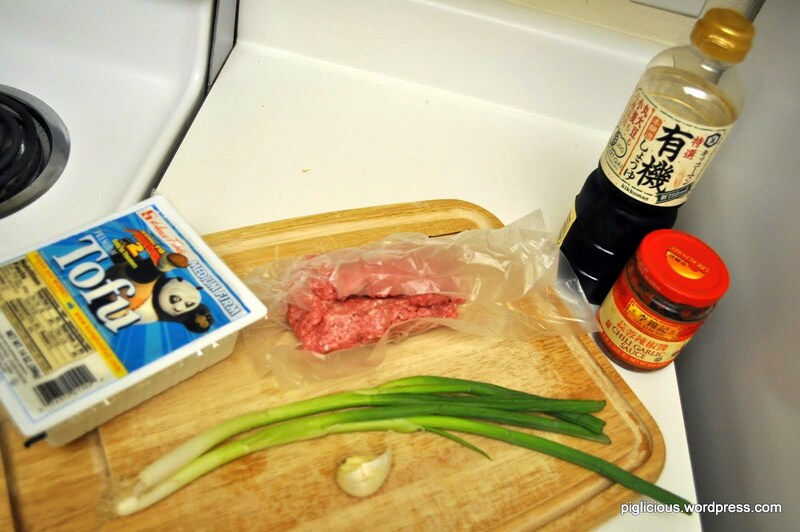 Add the green onion, mix, and cover the pan again. After about 1 minute, turn the heat off, wait until the mapo tofu simmers down a little and then transfer it into a (deeper) plate. Enjoy.